Pain is one of the biggest health problems in the United States. About 75 million U.S. residents endure chronic or recurrent pain. Pain can be caused by a disease, disorder, or even from an accident. Millions suffer from acute or chronic pain every year and the effects of pain have a tremendous cost on our country in health care costs, as well as the emotional and financial burden it places on patients and their families. The most common types of pain include lower back pain, joint/muscle pain, and arthritis. At Khoury Chiropractic, we offer to our patients a safe, effective, pain and drug-free solution to alleviate your chronic/acute pain. Back pain relief from our Dedham chiropractor does not require the use of surgery or drugs and has no side effects or risks associated with taking prescription painkillers as well as possible complications from surgery. Laser therapy can also accelerate the healing process post-surgery as it can significantly reduce recovery time over traditional therapies available today. When treatment has begun, patients will feel a sense of warmth to the affected area of pain as the laser light therapy works to heal damaged tissues and cells. This results in accelerated wound healing as well as a dramatic decrease in pain, inflammation, and scar tissue formation. Improvement has been noted after the first few treatments. 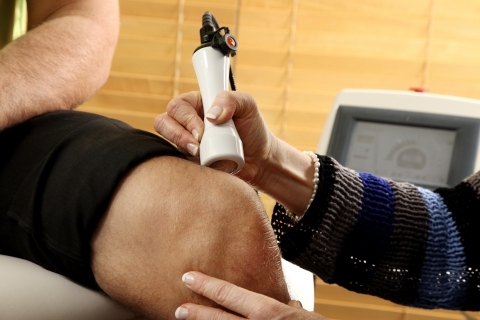 DIOWAVE laser therapy provides enhanced treatment outcomes faster than any other treatment modality. The DIOWAVE 60 Watt Laser Systems features the most powerful lasers available in the medical marketplace today. Offering maximum adjustable power output up to 60 watts, they provide the advanced practitioner a new level of treatment options and clinical outcomes.